We are turning our front patio into an urban garden! Growing on our patio is a guava tree, a fragrant tuberose tree, an assortment of flowers and succulents, and a funny looking cactus. 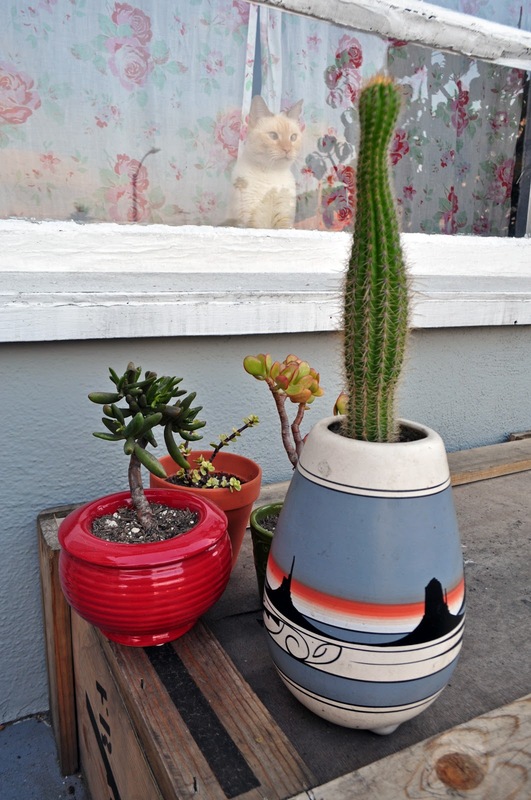 I got some of the pots and succulents from Echo Garden and the cactus from Mi Alma Designs, both in Echo Park. The immediate goal is to not kill the plants and the long term goal is to be able to call myself a gardener.